In case I haven’t mentioned it lately, I believe my coworker may be a demon in disguise. Not quite the devil incarnate, but definitely a figure from the deepest, darkest corners of hades. She was sent to earth solely to keep good people, like me, from obtaining a desirable weight. 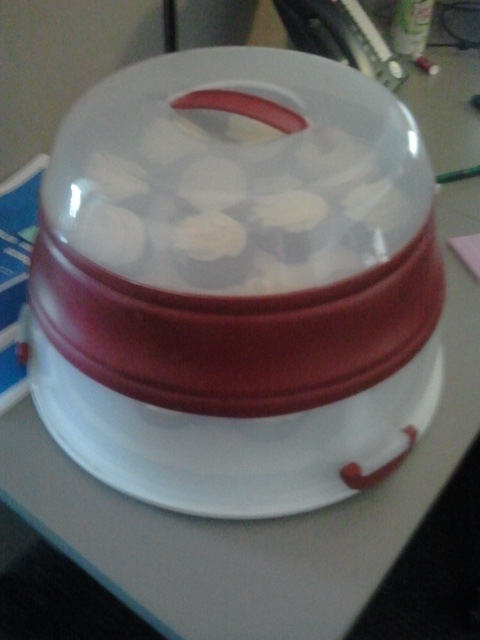 Her instrument of torture today: RED VELVET CUPCAKES! As I was walking up to our office suite first thing this morning, I passed a coworker who works a level lower. He almost never comes upstairs and only one thing can usually bring him up here…the evil genius of one of our resident bakers. With a casual question of “Brenna?” to him, he answered around the cupcake he was about to put in his mouth…”Yep – red velvet cupcakes!” His wicked smile was a reflection of how she must have looked last night as she made them. 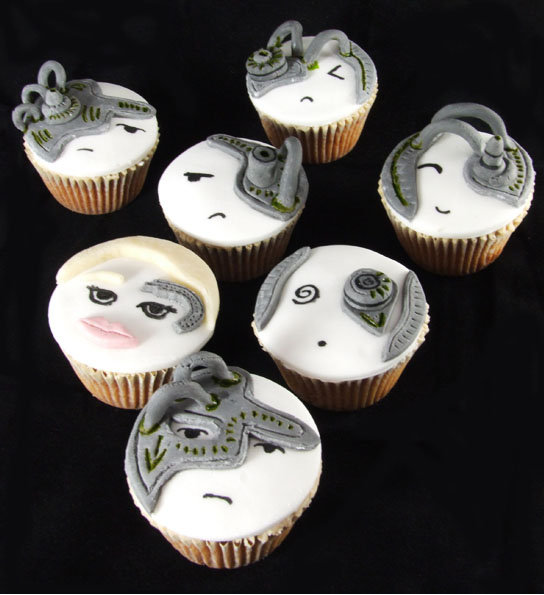 Resistance to these concoctions could not have been more futile, unless they were Borg Cupcakes! 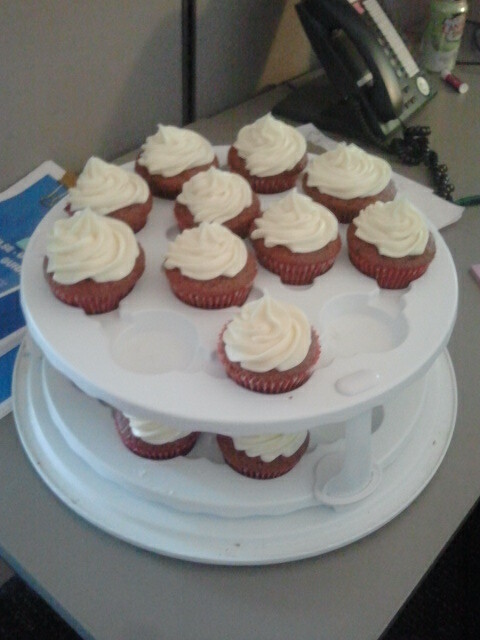 If you want to make these and tempt your fellow coworkers or family & friends, here are the links she provided me. Enjoy! 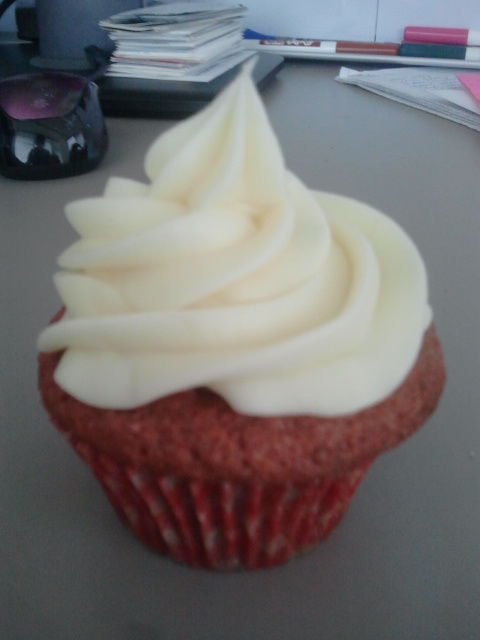 Posted on April 7, 2014, in Brenna Bakes and tagged Brenna Bakes, cream cheese frosting, cupcakes, recipes, red velvet, reviews, workplace. Bookmark the permalink. Leave a comment.